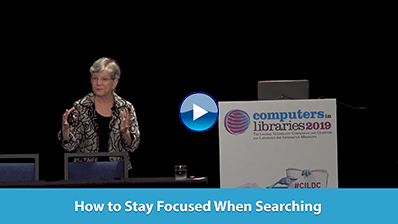 The higher education landscape is rapidly changing, affecting both library users and administrators. What is at the heart of this change? Management of electronic resources. It is imperative that libraries possess the tools they need to move forward in this ever changing environment to successfully meet the needs of their patrons and the expectations of administrators. Join us to hear about two major ProQuest initiatives that will provide you with the tools you need to support and drive your library transformation. Kermit the Frog says it's not easy being green, but EBSCO Information Services would disagree. The largest division of EBSCO Industries, EBSCO has a variety of green initiatives at its Ipswich, Mass., headquarters, which are on display in EBSCO's newsroom and in its YouTube video "Why Go Green?" All EBSCO employees are encouraged to be environmentally conscious. The Center for Research Libraries (CRL) announced that its North American working group will revise the LIBLICENSE Standard Licensing Agreement model license with support from the Andrew W. Mellon Foundation. The working group, led by Ann Okerson, CRL's senior advisor on electronic strategies, published a discussion draft that is open for public comment until May 14. Alexander Street Press launched Business E-books Online, a database that makes 500 business etextbooks and reference materials available without digital rights restrictions to worldwide academic, public, and school libraries. Alexander Street Press' editors curated the collection to be relevant for any business program, ranging from community colleges to M.B.A. degree programs. The Intellectual Property & Science business of Thomson Reuters partnered with Cornell University's Emerging Markets Institute (EMI) at the Samuel Curtis Johnson Graduate School of Management to power an academic research portal using the Web of Science platform. EMI corporate partners will be able to view open access (OA) content from developing research centers using the portal, which hosts 50 academic journals with information on 43 emerging economies from the past 5 years. Tired of paying for unlimited text messaging? Have relatives in countries not easily reachable by phone? Or maybe you're suspicious of WhatsApp Messenger now that the notoriously info-hungry Facebook has gotten its hands on the app? There are plenty of reasons for someone to download a mobile messaging service in 2014, even if the basic functionality of the internet messenger hasn't changed much from AOL Instant Messenger's heyday at the start of the second millennium. ... Here's a collection of WhatsApp's peers, some smaller and some larger, that are worth checking out (and getting your friends to check out too). Want to review some articles from our library publications? Download the free April content sampler (PDF) of recent articles and an exclusive subscription offer.